President-elect Donald Trump (left) and Andrew Puzder walked from the clubhouse at Trump National Golf Club Bedminster in New Jersey last month. 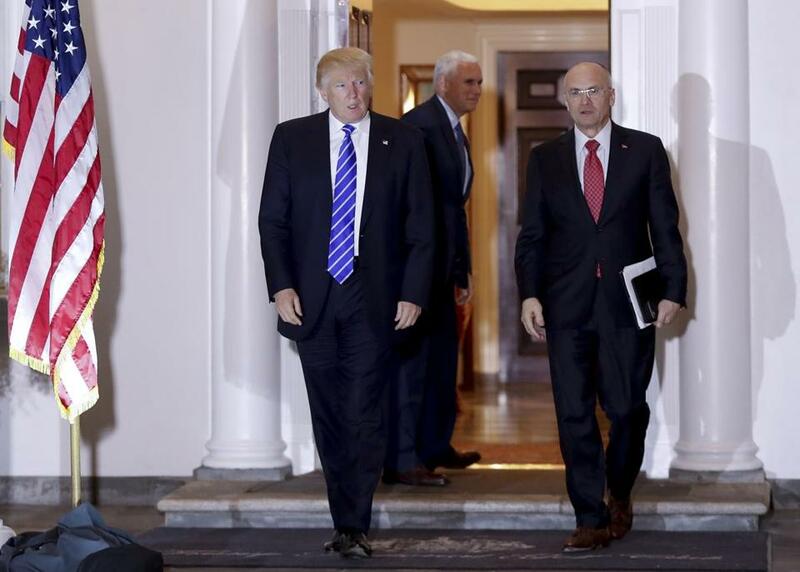 WASHINGTON — President-elect Donald Trump has announced his plans to add another wealthy business person and elite donor to his Cabinet, with fast-food executive Andrew Puzder as labor secretary. Trump’s transition team made the announcement Thursday evening. ‘‘We've reached the point where overregulation is doing meaningful damage to our businesses,’’ he said last month at the Restaurant Finance & Development Conference in Las Vegas, citing high labor costs, increased health care costs and ‘‘political and social’’ policies as hindrances. Puzder has long been a reliable GOP donor. He was a major financier for 2012 GOP nominee Mitt Romney and has remained close to him. At Romney’s annual donor summit in June, Puzder was one of just a few attendees who aggressively promoted Trump to the dozens who were more squeamish about their party’s new star.